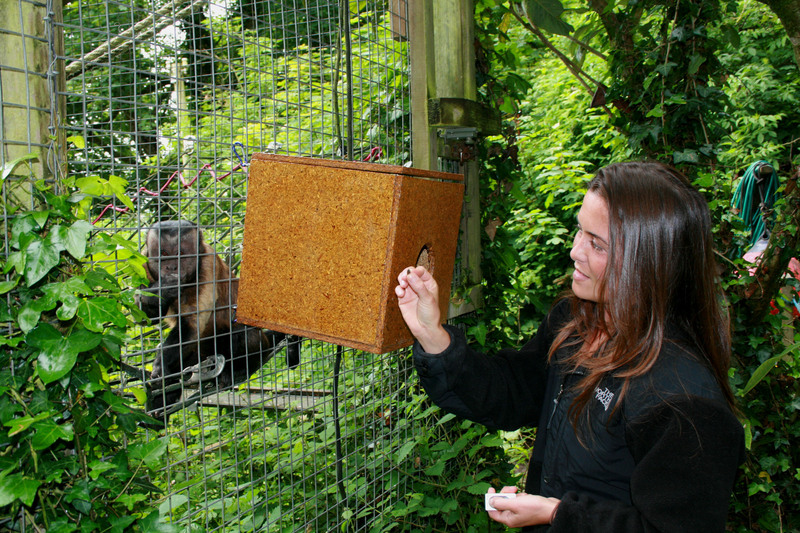 Research is an important part of the work of a modern animal sanctuary. Captive primate studies are invaluable for gaining a greater understanding of the welfare implications associated with the keeping of primates as pets and indeed captivity in general. We welcome students/academics from all relevant disciplines to carry out research on site at our Sanctuary or in conjunction with Wild Futures’ own research. Our Sanctuary provides a permanent home to woolly monkeys (Lagothrix spp. 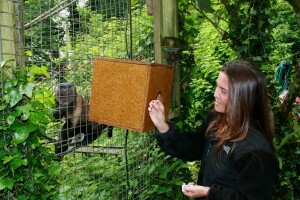 ), capuchin monkeys (Cebus/Sapajus spp. ), marmosets (Callithrix jacchus), and Barbary macaques (Macaca sylvanus), the majority of whom were rescued from the UK/EU pet trade. Carrying research out with us could help to improve knowledge of primate husbandry and captive welfare or could be of great significance to our campaigns work or conservation. There is also the opportunity to carry out ecological/environmental based studies onsite within our award winning wildlife gardens and grounds. If you are interested in carrying out research with Wild Futures email research@wildfutures.org.